We have a number of researcher initiated and industry sponsored clinical trials on infections in cancer. Early diagnosis and treatment of infections in patients with haematologic malignancies: Examining novel diagnostics including bacterial and fungal multiplex PCR and FDG-PET imaging (The PIPPIN study). The cause of neutropenic fever in patients with acute leukaemia and having a bone marrow transplant are frequently unclear due to deficiencies in the current diagnostics used. This leads to prolonged use of empiric antibiotics and antifungals, diagnostic uncertainty, increased costs of care, prolonged length of stay and high morbidity. Compared to the current diagnostic standards of microbiologic culture and CT scanning, we aim to prospectively examine the efficacy of bacterial and fungal multiplex PCRs on blood and PET imaging to detect the cause of the neutropenic fever and assess their impact on time to diagnosis, antimicrobial use, referral for definitive procedures, ICU admission, costs of care and mortality. We expect to find improvements in time to diagnosis and refinement in antimicrobial use, with resultant reduced length of stay and ICU admission. Febrile neutropenia is the most common complication of the treatment of cancer and the leading cause of unplanned hospital admissions, with over 2600 adult admissions in Victoria in 2008 and 180 paediatric admissions in 2014. FN is defined as the development of fever, often with other signs of infection, in a patient with neutropenia, an abnormally low number of neutrophil granulocytes in the blood. The current standard of treatment for febrile neutropenia is admission of all patients, irrespective of the underlying risk, for intravenous antibiotics until fever is resolved and neutrophil count recovers. This approach over-treats up to 50% of patients. National and international guidelines support the safe management of patients deemed low-risk for medical complications outside of the inpatient setting. On a background of increasing demand for cancer services as the population ages, implementation of outpatient management for febrile neutropenia allows patients to be managed more comfortably at home with resultant increase in access to inpatient beds and associated indirect cost savings to manage other more seriously unwell patients. This program is responsible for the identification and management of low-risk febrile neutropenia patients in an outpatient setting. Possible outcomes include: improved patient quality of life through outpatient versus inpatient management, a reduction in the patients’ risk of hospital acquired infections by minimising interventions, increased bed capacity from early hospital discharge of low-risk FN patients, reduced hospital length of stay for patients with FN resulting in indirect cost benefits from improved bed turnover, and utilization and development of specialist staff for consistency and quality of cancer care. Antibiotic allergy effects 1 in 4 cancer patients hospitalized with an infection in Australia. This antibiotic allergy often causes inappropriate antibiotics to be prescribed, affecting patient and hospital outcomes. Antibiotics are also associated with the most severe forms of reactions (e.g. Stevens-Johnson Syndrome), and as such determining the causative antibiotics and safe antimicrobials to use in the future is currently limited by an absence of reliable testing services in Australia. This frequently leads to this group of cancer patients having limited antibiotic options, resulting in increased broad spectrum antibiotic usage that drives the development of 'superbugs'. Predictors, Immunopathogenesis and Prescribing in Antibiotic allergy – A prospective multicenter cohort study aims to translate promising pilot data utilizing laboratory tools (in vitro T-cell assays) and skin testing into a combined approach that can be used to identify the causative antibiotics in these severe drug reactions. This work was piloted in 19 patients with severe antibiotic allergies and 16 controls, identifying the causative antibiotic in 79% of cases with high specificity (100%). This proposed research project also utilizes a well characterized DNA biobank of patients with antibiotic allergies to determine the genetic causes of these reactions. 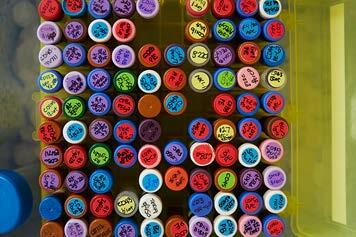 Creating an atlas of the immune system to better predict infection risk in cancer patients. With recent advances in immune-based therapies, haematological malignancies such as multiple myeloma and chronic lymphocytic leukaemia have been transformed into chronic diseases maintained by multiple lines of therapy. Infections remain a leading cause of morbidity and mortality in these patients with nearly 50% of early deaths due to infection. Being able to predict which patients are at greatest risk of infection before they start treatment will significantly reduce mortality. Therapy with immunomodulatory drugs are becoming the standard of care for patients with chronic lymphocytic leukaemia and multiple myeloma. Such therapies have effects on the immune system ranging widely from immune activation to immune suppression which has created a paradigm shift from the predictable effects seen with conventional chemotherapy. With inevitable disease progression, treatment phases are repeated to obtain and maintain disease response resulting in immeasurable cumulative immunosuppression. This project willuse cutting edge cyTOF and transcriptomic technology at WEHI to test the hypothesis that an imbalance in positive and negative immune mediators before initiation of immunomodulatory therapy can help predict if a patient is at risk of potentially life threatening infections to create an atlas, or complete immune profile down to a single cell level for each patient. Biostatisticians will then be able to pinpoint the exact immune factors or biomarker of infection risk. Cytomegalovirus (CMV) is an opportunistic infection which frequently reactivates in immunosuppressed haematopoietic stem cell transplant recipients (HSCT). The control of virus is highly dependent on a combination of patient factors, transplant immunosuppression, viral and immunological factors. 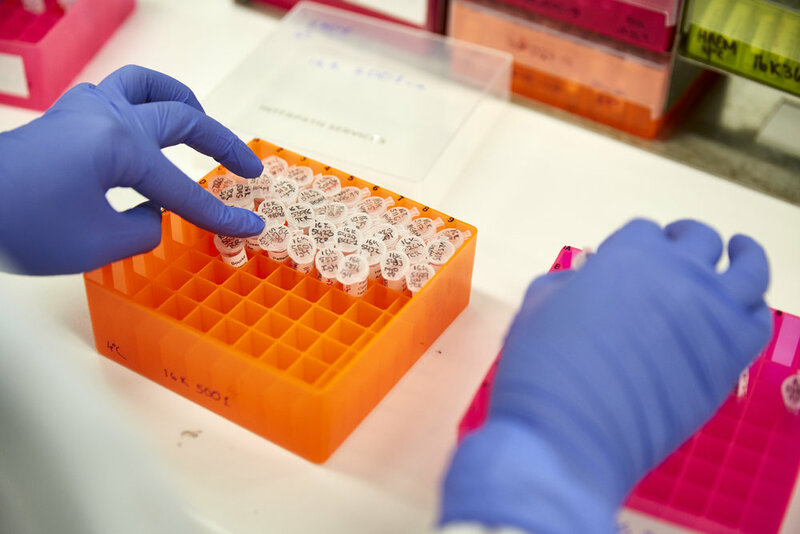 This research aims to evaluate the clinical and immunological impact of CMV viral infection in an Australian multi-centre study. The findings from this research will inform and enable treating clinicians to better identify patients at greatest risk of CMV complications thus contributing to better outcomes for HSCT recipients. Very little data exist on the rates and aetiologies of infections amongst cancer populations in Australia. This project will utilise novel methodology, such as natural language processing, to establish a national sentinel surveillance registry and automated clinician interface providing real-time updates on the evolving epidemiology of infections across cancer populations. Data linkage platforms will provide the infrastructure required for the federation of existing datasets to facilitate access to ethically judicious, anonymised linked patient data. This database will provide the evidence required to establish national guidelines for the management of infections in cancer, allow benchmarking of morbidities and provide point-of-care alerts for high-risk cancer patients that are essential for effective infection prevention and intervention initiatives. Infection in haematology malignancy and bone marrow transplantation is a major cause of morbidity and mortality due to a reduced immune function in patients who are at high risk of bacterial, fungal, viral, and/or parasitic infections. Preventing infections in this population can involve assessing risk factors, selection of donors, infection control measures and, using the best practice of prophylactic and pre-emptive antimicrobial therapies. This PhD will address critical knowledge gaps related to the optimisation of antimicrobial therapies; including pharmacokinetic optimisation of novel agents, optimisation of infection monitoring strategies, as well as investigating incidence of opportunistic infections and associated patient risk factors in this patient group.